Christian theology | J.W. Wartick -"Always Have a Reason"
Carl Raschke’s Critical Theology: Introducing an Agenda for an Age of Global Crisis is a brief look at the integration of critical theology into global theology. Now that I’ve basically just restated the title in different terms, what does it actually mean? Raschke states it as: “The thesis… is that the new era of global crisis demands a whole new theological formulary that is unprecedented both in the content of the challenges it faces and in the conceptual resources or ‘intellectual capital’ on which it must draw” (10). Essentially, the idea is that there is a global crisis–a kind of intermingling of ideas that makes it difficult to sort out what is what–and in order to deal with that, Christian theology must utilize a new set of tools for thinking and conceptualizing ideas. After a chapter outlining this “Age of Crisis” in greater depth (along with a very brief history of critical theory), Raschke draws upon many lines of critical theory to show how it might be used to communicate Christianity effectively on a global scale. 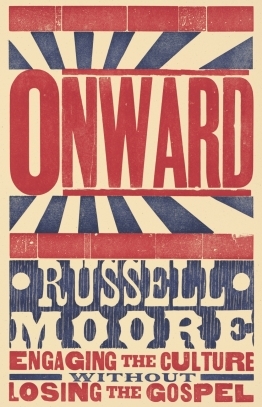 Mostly, this plays along the lines of highlighting several important critical thinkers (Jurgen Habermas, Martin Heidegger, Immanuel Kant, and the like) and showing how their thought may be applied to broader theological trends. Of course, none of this is done naively, as some of the pitfalls of critical theory are also acknowledged. But the focus is almost entirely on what critical theory brings to the table as far as the “global crisis” is concerned. It is worth noting here that the book assumes a general working knowledge of many of these important thinkers. One question which it seems to me Raschke did not adequately deal with is the question of whether “new” theology is a good thing. As many have said in various ways, “new theology” tends to be heresy. There’s a reason that the historic church made confessions and creeds–in order to establish boundaries for orthodoxy. Thus, some may argue there is a danger to trying to make a truly new theology, for it may just be a rehashing of old errors, as so many modern heresies are. I didn’t see any specific place where Raschke dealt with this objection at length. I suspect his answer would be that yes, new theology in a sense is a dangerous endeavor, but when genuinely new challenges arise (i.e. globalization/globalism and how to make sense of Christianity in a somewhat universal fashion), it calls for new evaluations. Yes, there is truly nothing new under the sun in some sense, because what Raschke calls for is a critical look at existing theology and sources thereof so that we do not get too attached to cultural expressions of Christianity as just being orthodoxy. On these proposed responses, I believe Raschke to be correct. But he doesn’t make this or any other specific defense at length, so far as I can tell. Critical Theology is a needed work that will get readers to look, well, critically at ideas they may have taken for granted before. It’s a deep work, despite its brevity. Jon Coutts’ A Shared Mercy explores the doctrine of forgiveness from the perspective of Karl Barth. Because it is the perspective of Karl Barth, it also reflects on doctrine of the church, as this was central to Barth’s thought. However, Coutts argues we must be careful not to subordinate all doctrines Barth taught under his doctrine of the church. The book is organized into 6 chapters that largely center on two parts: Barth’s doctrine of forgiveness and what a full doctrine of forgiveness based on Barth might look like in application. Throughout the book there is a kind of unity between these topics as Coutts takes what Barth taught on forgiveness and applies it. First, Coutts notes that because Christ taught that forgiveness is central to the lives of his followers, it follows that forgiveness is central to the church (1). Thus, exploring Barth’s Church Dogmatics, we ought to expect to find forgiveness as a central, not tertiary teaching. Coutts argues throughout the book that this is, indeed, what we find, though little has been studied in regards to Barth on forgiveness in the church in contemporary theology. This and many other passages provide direct application to the lives of believers. At several points, then, Coutts ably demonstrates the way to bring scholarship to the person in the pew, something that is too-often lacking in scholarly works. As a Lutheran, I appreciated the highlighting of the importance of baptism and the Lord’s Supper for Christian community, though I think Barth’s teaching on these sacraments falls short of the biblical teaching. Yes, baptism is a sign of community, but Barth and Coutts each seem to err in seeing baptism as a kind of political action of the church rather than a gracious action of God. Similarly, the view of the Lord’s Supper as being primarily a work of the church rather than a gracious gift of God takes away the greatness of the gift. Because the book is so focused on a specific aspect of Barth’s teaching, it does at times read a bit too much like a journal article–engaging with very specific opponents with little context. However, these moments are thankfully few and far between. A Shared Mercy is an interesting, surprisingly applicable study on forgiveness in Barth’s doctrine. More importantly, it shares information that can be applied directly to the broader church. The importance of a doctrine of forgiveness ought never to be understated, as it is so central to Christian teaching. As such, this book is an important contribution to understanding what we as Christians, and the church, are called to do. A question which we don’t often stop to think about in theological discussions is whether or not it is, in principle, possible to speak of the divine. Archie Spencer’s book, The Analogy of Faith, asks just this question and offers an in-depth analysis of various approaches alongside proposing a model for speaking about God. The book is split, roughly, between analysis of various proposed models for speaking about God and a development of a Christocentric model for speaking of the divine. The analysis of Aristotle’s analogy of being in the first chapter is particularly interesting. Spencer notes that because Aristotle’s analogy depends upon the interrelatedness of things through cause, and because God is the ultimate relation of causation as the unmoved mover, his concept of analogy is ultimately almost useless. The reason is because it becomes too broad: effectively anything can be related to anything else through an analogy of relation, and then this tells us nothing about the things being related themselves. Yet even here Spencer argues that Aristotle’s concept of analogy–itself reliant upon Plato in many relevant ways–can be useful in that it relates causality and the divine ideas, thus preparing the way for Neoplatonist thinking. Following on the heals of this analysis are some fantastic insights into Augustinian and Thomistic thought about analogy as well. Thomas Aquinas is perhaps the most important thinker regarding the use of analogy in speaking about God of all time. As Spencer notes, it is impossible to adequately deal with the topic without spending significant time on Aquinas’s view of analogy. However, Spencer’s ultimate analysis is that Aquinas did not have a well-developed theory of analogy of his own. Instead, he asserts, it has been the followers and interpreters of Aquinas who made a “Thomistic” theory of analogy, based around the analogy of being. Because these theories ultimately depend on an Aristotelian foundation, they, too, are found to be ultimately inadequate. After all, if we are unable to reference God’s being in any direct way, then it is difficult to see how creatures totally unlike the divine can have an analogue of that divine. Spencer’s analysis in this section is thorough and fairly convincing. Karl Barth and Eberhard Jungel are the next thinkers addressed, and they provide a basis for Spencer’s own theory of analogy, which is Christological. I’m summarizing an extraordinarily detailed theory here, so I’m sure I’m not adequately outlining it, but the basic thought is that because God has come to us, that allows us through divine revelation of Christ to refer to God. Thus, analogy is the analogy of faith rather than an analogy of being–one in which God has condescended to allow reference to the divine being in human language, rather than one in which we are able to, by our own thinking, come to language which speaks of God. Upon reading Spencer’s analysis and arguments, I am fairly convinced that he is correct in his notion that the analogy of being is insufficient to capture the possibility of talk about God. What I do wonder, however, is whether Spencer (and most others) too quickly dismiss the possibility of univocal language about God. It seems to me that if we are to say “God is love” then we must have some sense in which that actually relates to God. To be fair, Spencer could respond by pointing to such a statement as exactly in concord with his theory, which would assert that it does relate to God because God has revealed the divine nature to us in Christ and God’s Word, thus allowing us to rightly say “God is love.” However, I think that a deeper treatment of the possibility of univocal language related to God talk would have been appreciated in a book like this. Though, admittedly, the book is already lengthy and is specifically focused on analogy, not the possibility of univocity or equivocal language. One minor complaint I have is that in the thoroughness of the book, it seems that Spencer is sometimes repetitive. He hits the same point from several different angles in the same chapter, to the point that the book can become quite dry at times. However, the subject matter itself is deeply intriguing, and his full treatment of the topic makes it hard to fault him for stating a few things more than once. Those interested in reading a dense book of philosophical theology should look no further than The Analogy of Faith by Archie Spencer. It is a deep work that demands much reflection and consideration. It is the kind of seminal writing to which one will constantly return as one thinks about the topic discussed. I can say that I learned a great deal from the book, and had my mind stretched as it hasn’t been stretched in some time. I recommend it highly. Disclaimer: I received a review copy of the book from the publisher. I was not required to provide any specific kind of feedback whatsoever. Archie Spencer, The Analogy of Faith(Downers Grove, IL: InterVarsity, 2015). There are several different ways that Christians perceive the relationship between science and religion. Science & Christianity: Four Views edited by Richard Carlson provides some insight into the major positions Christians hold regarding this relationship. Here, I will outline these major positions and then provide a few of my own thoughts on the relationship between science and Christianity. The book’s taxonomy files this under “creationism,” but I file it under Concordism because there are different views of how this interplay between science and the Bible play out on these perspectives. The first example is that often exhibited by creationists of both young- and old-earth perspectives. On this view, the Bible is the ultimate authority for all truth, including scientific truth. Thus, in any place where science is thought to conflict with what the Bible is purported to teach, so much the worse for science. Wayne Frair and Gary Patterson, arguing for this perspective, note that “Science is a human activity” and “Science is motivated by the full range of human emotions and ambitions, and the history of science is replete with examples of human greed…” (20-21, cited below). Thus, on this perspective there is often an understood–whether inherent or spoken–distrust of the findings of scientists. Science is a human activity and so can be seen as full of errors and “replete” with examples of human motivation driving conclusions. On the other hand, the Bible is of divine origin, and so it may be trusted absolutely. Any conflict must be decided in favor of the Bible. Creationists of all varieties might also hold to a kind of “qualified agreement” regarding science and Christianity. Those who affirm this position argue that science provides support for biblical Christianity. Stephen C. Meyer writes, in his essay, “when correctly interpreted, scientific evidence and biblical teaching can and do support each other” (130). This model holds that scientific theories do have wider metaphysical impact, but that this impact will be seen, ultimately, to support a biblical worldview. Meyer doesn’t explicitly state this, but most forms of this model also hold that science and theology can mutually benefit from correctives to each other. Scientific discoveries might force us to rethink the extent of the Flood, for example, while a teaching of creation out of nothing in the Bible can serve as a corrective for metaphysical speculation alongside multiverse and other theories. Many different interpretations of this model are possible, and some would not allow for much mutual correcting. The independence model ultimately views science and Christianity as operating in largely different spheres. Commonly known as non-overlapping magisteria (or NOMA, for short), those who hold to this model argue that we must “not make blanket claims about the supposed religious implications of scientific theory” (83) and that models which see science and Christianity as trying to answer the same questions ultimately lead to conflict. Science and religion are viewed as “different models of knowing” which do not overlap, and so they offer little threat whatsoever to each other (71-72). Thus, the Bible is seen as a book which teaches us theological truths, while science teaches us about the natural world. Jean Pond argues that we must live as non-bifurcated people. It is not that we live compartmentalized lives with science and Christianity in different compartments. Rather, it is just the acknowledgement that different methods govern different aspects of reality. She uses a metaphor of interlocking fingers—each finger is different and independent but locked together they are stronger (90-92). Here I use the terminology found in the book once more, because I think it is a helpful way to envision this final model. The Partnership model envisions science and Christianity as working side by side and explaining the same sets of data. However, they explain them in different ways and are able to offer correctives to each other. Howard J. Van Till argues that this view allows for a view of creation that we can constantly learn more about and see as constantly changing. However, where this model differs from concordism (the qualified agreement model) is those who hold it argue we should fully accept scientific consensus as telling us about the history of the natural world and that this consensus simply corrects theological views whenever there is conflict. Thus, in a way, this model gives priority to the findings of science over theological views about origins. However, Van Till argues that this is not a kind of science trumps religion model, but rather than we should view creation as “fully gifted” with a function economy that means God made creation itself self-sustaining. Each position has its own set of difficulties, though I think some are more plausible than others. Regarding concordism, one of the biggest issues can be found in the first position: that of the comparison between the human origin of science and divine origin of the Bible. While it is true that the Bible is divinely inspired, any reading of the Bible is a human act of interpretation. Thus, to claim that science has human motivations possibly leading it astray while ignoring that very same possibility in reading and interpreting the Bible is misguided. Often, those holding this position tend to reduce the Bible to their specific interpretation of the Bible, and then anything which conflicts with that is rejected. The title I gave to this view, “The Bible is more Authoritative than Science” reflects the truth: ultimately, the Bible has God’s authority. But as people use titles like this, we find that often the “Bible” means “my interpretation thereof.” I conclude that this position holds to a view of science and Christianity which is too naive to be affirmed consistently. The Qualified Agreement model avoids this inconsistency, but it does so at the cost of being ambiguous at points. In what way, exactly, is there qualified agreement? How does theology inform science and vice-versa? Who ultimately decides if there does seem to be a simple contradiction between the two? These questions are left largely unresolved by this model. There is much that turns upon how we take the clause of Meyer’s that “when correctly interpreted” theology and science support each other. The independence model provides the easiest solution to conflicts perceived between science and Christianity. It simply states that there can be no conflict because the two aren’t even discussing the same realms of truth. What it gains in simplicity, it loses in clarity, however. We are left wondering how we are to take it that matters of faith simply have nothing to say about, for example, the bare existence of the universe. If it is true that science and Christianity do not overlap and speak of entirely different realms of knowledge, what do we do with the Christian claim that the universe was created? Is it not actually about the material universe but rather some kind of spiritual truth that we don’t yet know? Moreover, the independence model seems to assume a view of the world in which there are two buckets: spiritual and material, and those buckets are entirely independent of each other. That is, if I am considering something, it is either spiritual or material, but it cannot be both. This seems to be an overly simplistic view of the universe and one which is difficult to square with the apparent unity between the spiritual and physical within much of the Judeo-Christian worldview. The Partnership model is appealing in its language, but difficult to understand. It has most of the same problems as the “qualified agreement” model: how do we decide which one is correct when science and theology come into apparent conflict? Why does the partnership model give priority to science in most of these matters? What does it mean to claim that creation has functional economy, and how do we square that with miracles found in the Bible and the doctrine of creation? Ultimately, I think we still have much work to do in finding an adequate model of science and Christianity. Each of the models surveyed here have aspects that are useful but they each have some difficulties to resolve. 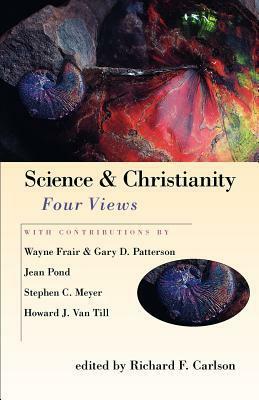 I recommend reading Science & Christianity: Four Views to provide a deeper look at these models if you are interested in the topic. Science and Christianity: Four Views edited by Richard F. Carlson (Downers Grove, IL: InterVarsity, 2000). 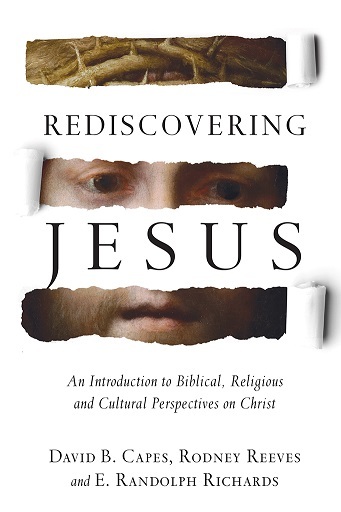 Rediscovering Jesus is part project of unearthing aspects of Jesus which are often ignored, part recovery of the biblical portrait of Jesus, and all intriguing. The book is structured such that each chapter presents a specific portrait of Jesus. 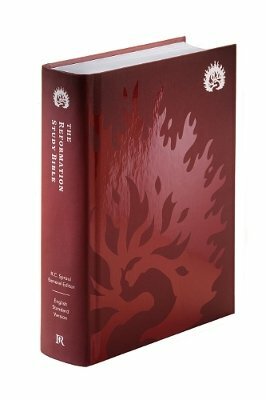 Each chapter has a brief introductory section that gives an overview of that specific Jesus, an exposition of how the specific work presents Jesus, how that Jesus is different or unique, and what we would believe about Jesus if that were the only information about Jesus we had. The first part focuses on biblical images of Jesus, but does so by looking at individual books of the Bible (though a few writings are lumped together). Thus, rather than seeing a composite Jesus made up of all four Gospels put together–not itself a bad thing, necessarily–the chapters provide a deeper look at the individual focus of each Gospel or book. Thus, readers are confronted by a Jesus who is a man of action in Mark, a priest in Hebrews, and an apocalyptic judge in Revelation. The second part examines pictures of Jesus outside the Bible: the ones examined are the Gnostic, Muslim, Historical, Mormon, American, and Cinematic Jesus. The primary value of the work is how it challenges readers to rethink how they have viewed Jesus. If their Jesus has been shaped predominantly by cultural and non-biblical portraits, the book serves as a call to return to the biblical portrayal. But it does not do so at the expense of all extrabiblical imagery. The authors carefully outline how there might be truth found in various images of Jesus. If our Jesus has been shaped by biblical imagery, the authors challenge us to see how we might have glossed over specific emphases of the different authors of the New Testament. Each chapter is filled with insights and things to explore. Readers will be continually challenged in how they may have a deficient or composite view of Jesus that does not match the Jesus of the Bible. It is a book which calls us, primarily, to learn about our Lord Jesus Christ. It does so in a way that is constantly exciting and invigorating. I recommend Rediscovering Jesus wholeheartedly. It was a phenomenally interesting read, and one which will challenge you to rethink how you have conceived of Jesus, while calling readers back to biblical portrayals. I can’t really recommend it highly enough. Disclaimer: I received a review copy of the book from the publisher. I was not required to leave any specific kind of feedback whatsoever. Really Recommended Posts 10/9/15- Gospels, Domestic Abuse, Dinosaurs, and more! 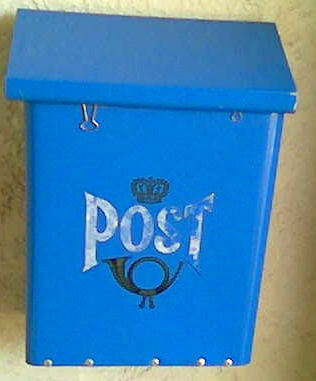 I am pleased to present this wide range of topics to you, dear readers! I hope you enjoy the reads as much as I did. We have posts on the origins of the Gospels from an atheistic perspective, domestic abuse, the ontological argument, soft tissue in dinosaurs, and Bill Nye on abortion. Let me know what you think, and be sure to thank the authors as well! Where the Gospels Came From– This is a satirical post that highlights how broad swaths of internet atheism tend to view the origin of the Gospels. It’s well worth reading as it highlights some of the major errors. When Staying in an Abusive Relationship is Part of Your Theology– It is Domestic Violence Awareness Month, and this post from Christians for Biblical Equality highlights one major difficulty with some theologies- they argue that one should stay in an abusive relationship from theological reasons. The Probability of God’s Existence is Either 0% or 100% (video)– Kenneth Keathley offers this analysis and presentation of Alvin Plantinga’s ontological argument. He defines terms and answers some major objections, with the objections offered by atheists themselves. “Soft Tissue” Found in Dinosaur Bones– Creationists sometimes claim that the finds of “soft tissue” undermine the possibility for an old earth perspective. Is that the case? Here is some analysis of this claim and some more recent findings regarding allegations of blood and other soft tissue found in ancient fossils. Responding to Bill Nye’s Abortion Video– Bill Nye “The Science Guy” made a lot of claims about science and abortion in a video recently. Here’s a thorough analysis and refutation of his claims.